This is one of our recent smaller projects. 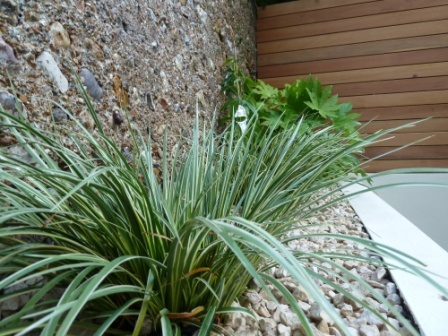 The client wanted to modernise their basement flat courtyard which did not get much in the way of light and was quite over looked from adjacent properties. 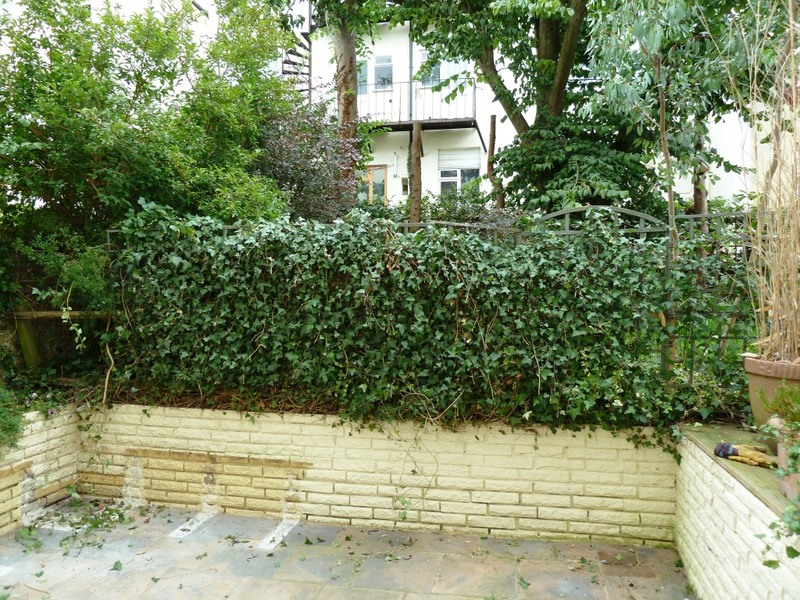 We removed the old trellis and ivy and got to work on transforming the garden. 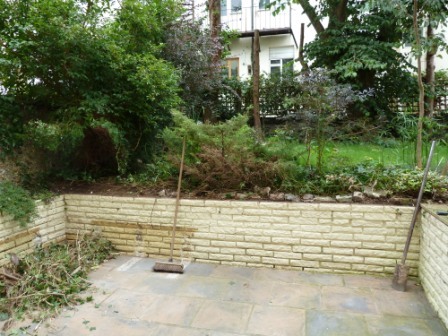 After the wall had been rendered we installed large treated post which were concreted into the ground behind the wall. This gave us a solid mounting for the hardwood. 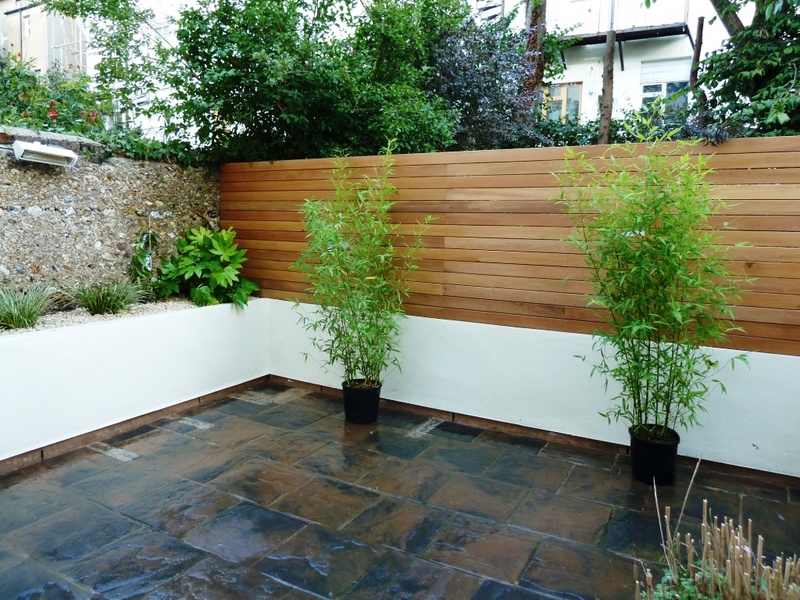 Once the timber is all installed you need to apply a good quality decking oil or similar so that the colour is preserved and the timber nourished. This will keep the screen looking good for many years to come. Oiling should be done at least twice a year on heavy foot fall areas.